Millhauser’s short story, “The Dome,” has an extremely fantastic world in which these domes are invented that are able to cover, protect, and isolate a house. Then the story goes on to describe the rise of these domes, eventually spiraling into domes covering communities, cities, and then eventually the whole United States. The fact that they are able to cover such large portions of land in this world with such a large dome is impossible and definitely not realistic, but the author describes it as if it was bound to happen once the house domes began. It is fantastic how the citizens of this world are able to control the weather w ithin the dome and how the fact of living under a dome automatically makes everything under it artificial, not natural and not realistic. A quote that expresses this perfectly is, “The hills, the streams, the woods, the fields, all have common elements in a new decor, an artfully designed landscape- designed by the mere fact of existing under the dome.” (p. 119) The narrator mentions how even murder itself isn’t taken seriously now that they seem to be in an artificial and fake world. Nearing the end of the story, the author explains how they are devising plans to create a dome cover for the entire world, which in our reality, is ridiculous, impossible and not something that could actually happen. I think the way it relates to real life and our human experience, though, is how technology and inventions can seem successful but can get out of hand with how they are used, along with showing how the most amazing inventions can have their negative impacts on the world or on people. Many people think cars are an amazing invention, wouldn’t ever want to give them up and think they improve the world, but the negative impact of cars on society and on Earth is tremendous, from pollution to more deaths, and even isolation from the outside world. 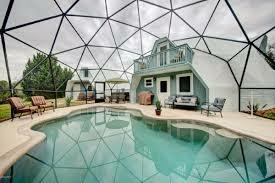 (Just like the domes isolate people from the outside world!) Another example from our reality that relates to this circumstance would be phones as they continue to advance, giving us more ways to isolate ourselves and be emotionally separate from other people. This story is trying to demonstrate how people go too far with technology and inventions to the point where they are unsafe, harmful, or bad in the long run whether it be to someone or to the world. Lots of technology nowadays separates us from others and that is exactly what the domes end up doing in the story. In the domes, it becomes a dangerous place and harmful as people do not take murder seriously, as well as takes away the truth and beauty of the natural world.